Added on July 19, 2018 by Annie Ling. My series Open House is currently on view as a solo exhibition in Reykjavik all summer long, coinciding with this year's Nordic Conference Roots & Wings. If you're flocking to Iceland for the summer, hope you can stop by! 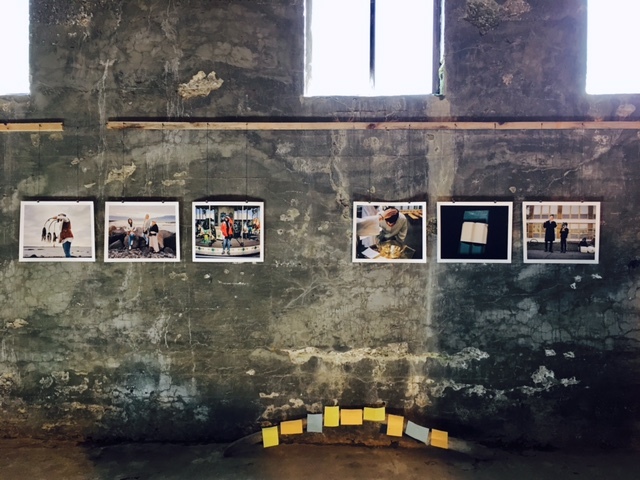 "Moments From The Life Of Asylum Seekers In Iceland" will be at Gerðuberg Culture House until the end of August. The Culture House hours are Monday to Thursday from 10:00-18:00 and Friday from 11:00-18:00. Added on June 13, 2017 by Annie Ling. 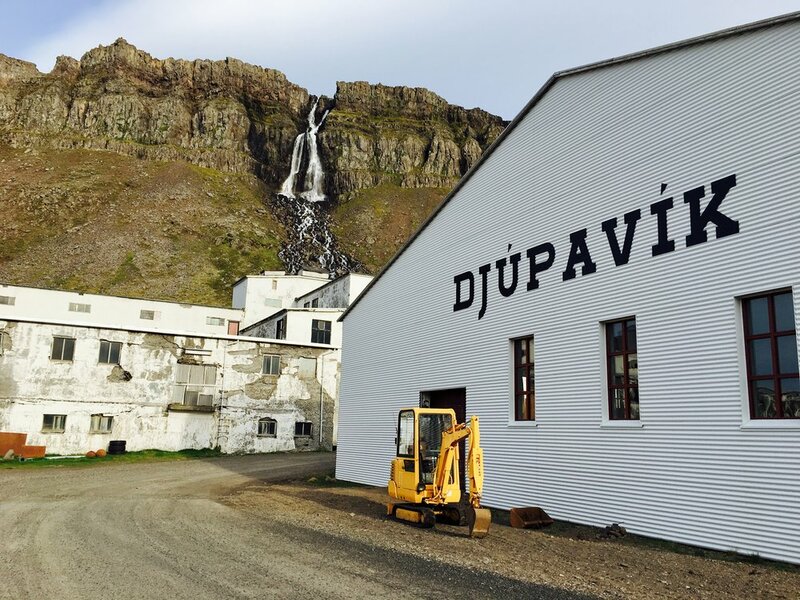 Each year, the population of roughly 300,000 inhabitants in Iceland triples with tourists arriving from around the globe seeking breathtaking vistas and itineraries packed with otherworldly tours of lava-fields, glaciers, and waterfalls. This year, an unprecedented seven hundred asylum seekers are expected to arrive in the island nation just south of the Arctic Circle, doubling last year’s count. The majority end up in Iceland after their intended destination to the United States, Canada, or the UK is denied. A few sheltered in hostels among tourists and the rest isolated, asylum seekers predominately from the Balkans and the Middle East wait months before few are granted residency. How do asylum seekers experience Iceland in limbo? How do resettled refugees adapt and make a home here? Is this paradise or is this purgatory? Added on February 18, 2016 by Annie Ling. 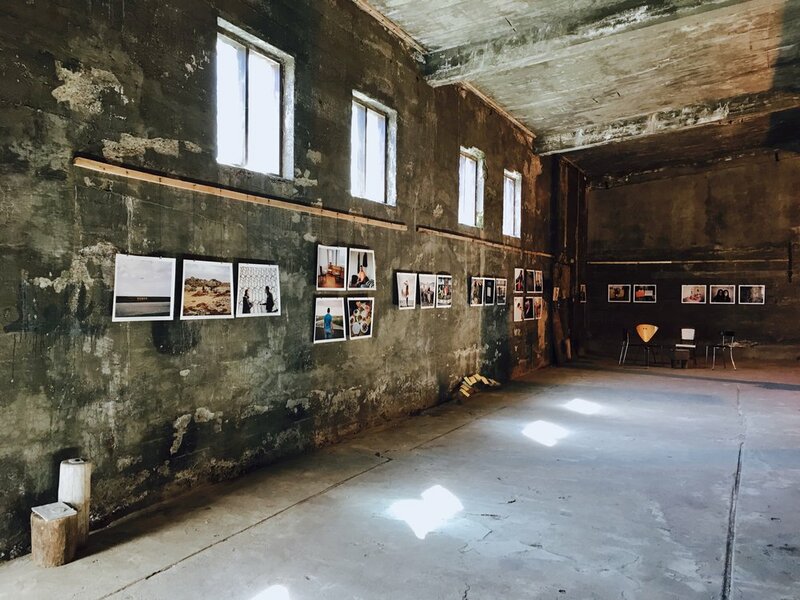 As my latest exhibition at the National Museum of Iceland / Þjóðminjasafn Íslands comes to a close next weekend, I must thank everyone involved in the project, the staff at the museum and the photo community in Reykjavík for the welcome, particularly visionaries of the Icelandic Photography Festival. What an honor to share this work with my "mothers" and their families, as well as countless other mothers who have since reached out to me since the unveiling of this series. 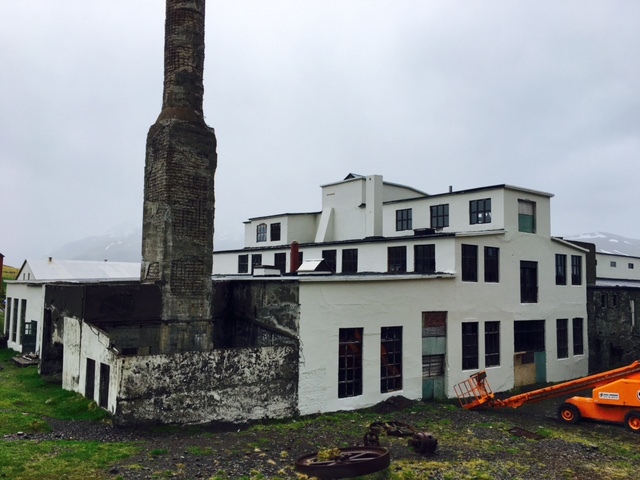 This monumental museum at the heart in Reykjavík has been the ideal venue for showcasing this work. Fielding questions from locals along with curious foreign visitors at the museum during my artist talk last month offered a tangible window into the kind of cross-cultural dialogue we could and should be having about gender equality, and how societies can change and adapt to the needs of the population. 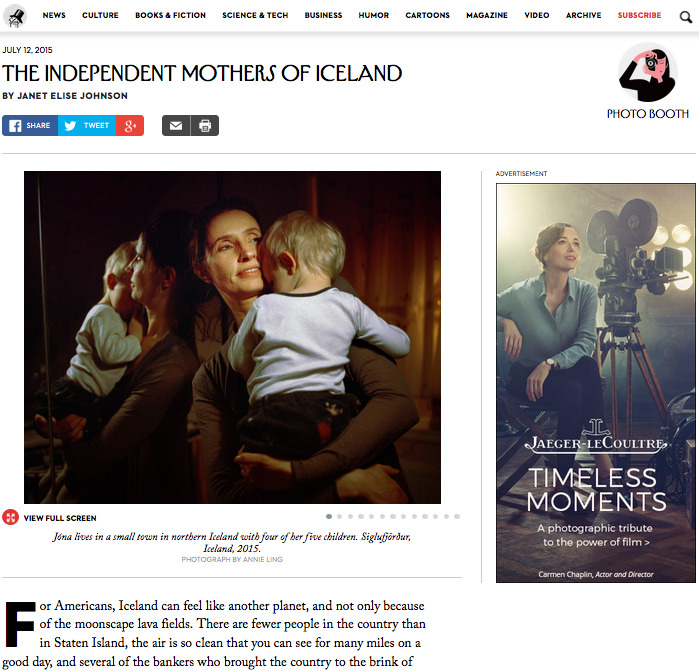 I'm proud of the fact that this series highlighting the strength and independence of single mothers in Iceland can bring to question the treatment of single mothers elsewhere in the global community. Added on September 26, 2015 by Annie Ling. My editor at The New Yorker informed me not long ago that Independent Mothers made it into Photo Booth's top ten hall of fame for most clicks, and was picked up by The New York Times in their “What We’re Reading” column. Internazionale in Italy and the Stuttgarter Zeitung in Germany was also quick to pick up the series. The overall response to this project has been overwhelming, and I believe the interest is due largely to the project's ability to highlight the strength and independence of single mothers in Iceland while bringing to question the treatment of single mothers elsewhere. Mere minutes after the post went online, the Embassy of Iceland in the US re-tweeted it, lauding "the strong women of Iceland", setting an example for the rest. Added on June 19, 2015 by Annie Ling. I had dreamed not long ago that I would find the ideal venue in Iceland to debut this personal project, on June 19th, 2015, the 100th anniversary date of Women's Suffrage in Iceland, when a number of women in the country were granted voting rights for the first time. With utmost respect and gratitude for all the single mothers who welcomed me into their families and lives, sharing stories over meals and coffee, your generosity of spirit and nurture got me through during the dark winter months of Skammdegi this winter in Ólafsfjörður, Iceland. 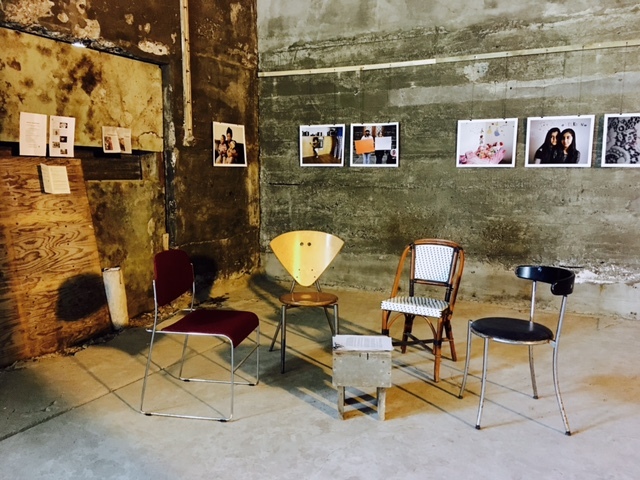 Also, a special thanks to Listhús í Fjallabyggð in Ólafsfjörður and the fantastic Mjólkurbúðin Gallery... I could not have asked for better enablers and supporters of this work. So, it is with great pleasure I say... the dream has been realized! And it's damn good to be back. More to come... and be sure to check back in a few days when the series will be up online. If you enjoyed following my experience of short winter days (see: New Yorker), you can now follow on Instagram as I share glimpses of long summer days touring Iceland! Added on January 30, 2015 by Annie Ling. Thanks to Sara McMahon and Iceland Magazine for the feature. Added on January 13, 2015 by Annie Ling. Thanks @newyorkerphoto for a fun collaboration on Instagram this past week, and thanks to all of you for the great response and feedback. I had an absolute blast! The adventure isn't over quite yet... I've resumed #SKAMMDEGI posts at @annielingphoto. Check out the work featured today on TNY Photo Booth! Added on December 5, 2014 by Annie Ling. Tomorrow, I'll be embarking on a wild, new adventure and challenge. As a recipient of the Skammdegi AIR Award (and my first artist residency to date), I can't help but confess that utter thrill mixed with mild fear is setting in as I prepare to leave the sunshine behind for two months of cold, dark isolation in northern Iceland. Brrrrr just thinking about it. 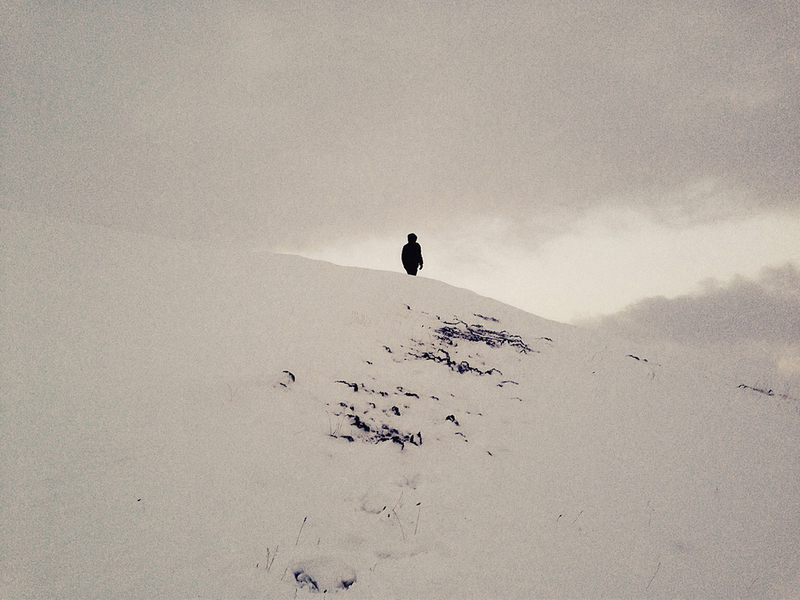 Skammdegi in Icelandic means dark winter or short sunlight winter. December 21 is the shortest day in Iceland. The sunlight is from 11am to 3pm only. Listhús í Fjallabyggð where I'll be based is located in Olafsfjordur, north Iceland, which is surrounded by mountains. That means during December and January, the sun never can rise up higher than the mountains. As a result, the lands are always covered by a mysterious reflective lighting. Amazing, right? This newly established award will allow me to maximize the possibility of working in dark winter. I've got several ideas I'm pumped to explore and some exciting things lined up. But I'm predicting what's really going to keep me from going mad will be the chance to engage, learn from and collaborate with ten other incredible multidisciplinary artists joining in on the fun, also flying in from afar this winter.